RENOS's monotonous and protected life routine as a professional waiter suddenly changes and becomes disbanded over matters that concern a murder and a love affair. This film is a meditation on what it means to be a free person in a burdensome world. 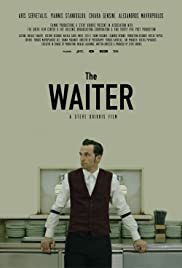 The main character, a waiter, lives a regimented life till he is called upon by events beyond his control to save a young woman by killing her tormentor. What happens next is mind-blowing, and I won't give it away. The ending is perfect. You must see this film. It will stick with you.